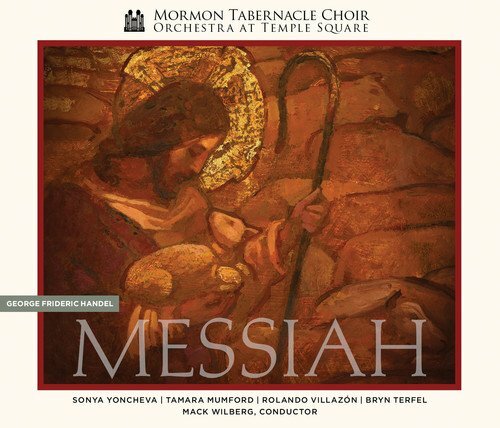 Handel's Messiah (Deluxe Edition) (2CD + DVD) by Mormon Tabernacle at Silent Rider Music. MPN: 17753966. Hurry! Limited time offer. Offer valid only while supplies last. The Mormon Tabernacle Choir and Orchestra at Temple Square present the triumphant and angelic sound of George Frideric Handel's masterpiece Messiah. The Mormon Tabernacle Choir and Orchestra at Temple Square present the triumphant and angelic sound of George Frideric Handel's masterpiece Messiah. Taking over two years to record, the choir conductor, Mack Wilberg, has painstakingly captured an awe-inspiring version of arguably the best choral work ever written. The Complete Oratorio is on two compact discs and comes with a bonus DVD and a high definition 320k mp3 or FLAC digital download. The bonus DVD contains exclusive footage including interviews with the soloists (Sonya Yoncheva, Tamara Mumford, Rolando Villazon, Bryn Terfel), with conductor Mack Wilberg on the motivation for this recording, with musicologist Luke Howard on Messiah's historical background, with painter J. Kirk Richards about the creation of the moving cover painting, plus a special music video of the Mormon Tabernacle Choir and Orchestra at Temple Square performing Handel's ''Hallelujah'' chorus in the historic Tabernacle on Temple Square. If you have any questions about this product by Mormon Tabernacle, contact us by completing and submitting the form below. If you are looking for a specif part number, please include it with your message.